Leading browsers like Chrome and Firefox prepares a list of the secure websites with the HSTS feature. In case you are not connecting to a secure website, browsers at times do not let you complete the connection and flashes various error messages. 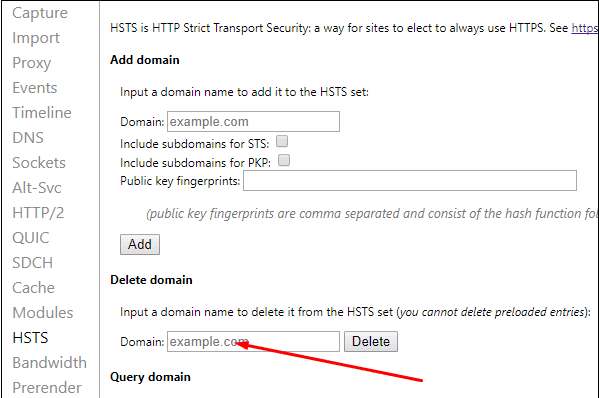 HSTS is an attribute of browsers that help in assuring the security by checking the security certificate holding sites. It does not allow any other domain name from loading for the requests other than https. But there is always a way to come out from this error. For that, you need to strike off the name of that domain from the HSTS list of both Chrome and Firefox. Then it will allow these websites to open and you can work peacefully. How to Fix HSTS Error in Chrome and Firefox.